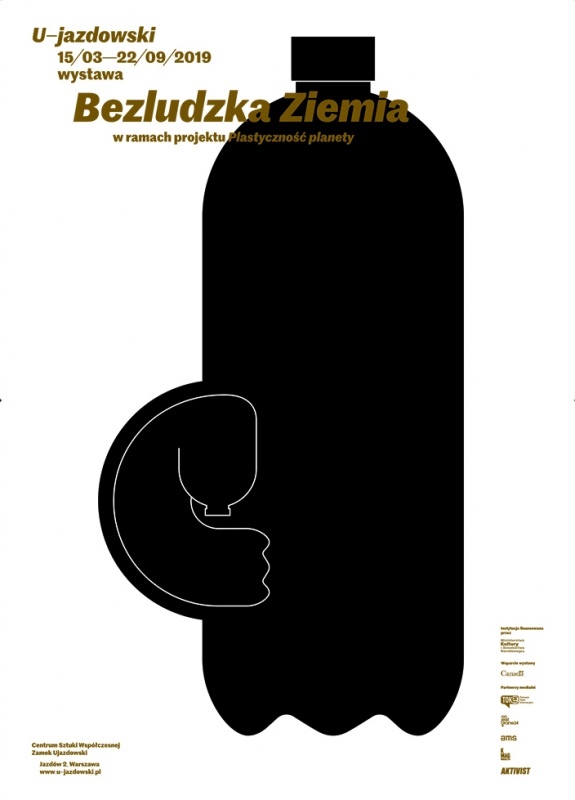 The Mycological Twist is part of Human-Free Earth, a group exhibition at U–jazdowski in Warsaw. Donna Haraway suggests ‘staying with the trouble’– rather than ignoring it or running away from it if it proves insoluble. Haraway urges that we take care of the natural environment. This can only succeed if we first recognise the existing problems. The exhibition Human-Free Earth and other actions which are part of the project Plasticity of the Planet are intended to help us recognise the issues at stake. We must face the irreversible changes in the natural environment. The starting point for the exhibition and the project is our conviction that the anthropogenic changes occurring on our planet may transform the Earth into an environment that does not support human life. The intention here is not, however, to whip up an apocalyptic mood, as that would lead back to the well-trodden path of wait-and-see, paralysing our thinking and action. Nor should we invest our faith entirely in technological salvation, believing firmly that all we need do is find technical solutions to the increasing acidity of the oceans and to global warming, with results such as extinction of the species and the ubiquity of plastic proliferation. Both catastrophism and techno-optimism are no more than futile escapism. Once we come to realise that, Haraway’s approach appears radical. Staying with the trouble requires action. We can only achieve it through creating new ways of understanding and imagination. The exhibition addresses that urgent need. The trigger is the concept of plasticity, postulated by Catherine Malabou: the ability to give and receive form. Crucially, says the philosopher, at the moment that a new form has been adopted or bestowed, the return to the former state is no longer possible – the previous form has been irrevocably destroyed. Plasticity is destructive in principle, and in some cases can even mean the annihilation of all form. In the project Plasticity of the Planet, the anthropogenic devastation of the environment is viewed as a specific example of destructive plasticity that can bring annihilation to many forms of existing organic life. Catherine Malabou herself, reflecting on the consequences of the irreversible environmental changes, argues that we must take on board their two fundamental consequences. Firstly, nature is no longer a stable, passive, neutral backdrop for human activity but has rather been transformed into a force of incalculable power and unrestrained agency. Secondly, such a transformation was not intentional. Again, ‘plasticity of the planet’ must be thus understood simultaneously as exposing the Earth to destructive transformation and the planet itself – taken as the broadest definition of the natural environment – as an entity that has taken over an active, subjective role. The force of destructive plasticity has the potential to result in a human-free Earth, life on which will take an entirely different form.